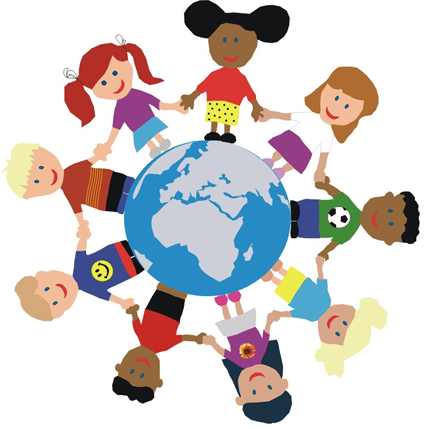 DEHAT’s spirit is United Nations Convention on the Rights of the Child (UNCRC). We strive to make comprehensive children’s rights a reality, for the wellbeing of children today and for the future of Indian civil society. A child-centered society in which all children enjoy the fullest scope of their rights and lead fulfilling lives. To educate, enable & empower the deprived and underprivileged sections of society, in order to ensure the basic rights of children. DEHAT has developed various rights-based key initiatives meant to ensure the realization of the following rights in a sustainable manner starting from a grassroots level. All children have the right to life, and to living conditions, health care, nutrition, and shelter to protect that life. Community initiatives to strengthen existing government health care systems. Community education on maternal and child health. Epidemic control and vaccination promotion. Promotion of sanitation practices(also includes bamboo made ecofriendly toilets). All children have the right to the education, freedom, family, and social environment that will allow them to reach their fullest possible development. Establishment of alternative education centers for school dropouts and non-attendees(especially girls). Enrollment campaigns to mainstream children in government schools. Building entrepreneurial spirit in youths and school students. Promotion of agricultural practices to ensure food security for the family. Manufacturing centers for Tharu-Tribe’s craft (also includes bamboo crafts) to uplift their livelihoods. Refurbishment of Government Schools in order to make sure positive influence of student’s altitude and increase the rate of active enrolments. Children must be protected against all forms of violence, child labor, trafficking, and exploitation. Victims have the right to rehabilitation that restores their health, self-respect, and dignity. Tracking of missing children through Childline hotline & Grassroots level child-protection organization’s network across India and Nepal. Rescue, Restoration, Repatriation & Rehabilitation of children,found missing or in vulnerable condition. Missing Children Alert booths in specified zones. Community education to prevent human trafficking and domestic violence. Formation of Community Based Organizations like “Van Gram Adhikar Manch”(Forest Village Rights Forum) and Lok Adhikar Manch (People’s Rights Forum). Children have the right to be active participants in their development, and to engage in decisions that affect their life and their future. Formation of Children’s Groups like “Bal Adhikar Manch” (Children’s Rights Forum). Ensuring participation of elected child leaders in community meetings. Organization of folk art and theater performances by children for the benefit of their own communities. Teaching process through trained Girl-Child Student Teachers. Even as India continues to record impressive economic growth rates, poverty remains widespread and disparities deeply entrenched. Out of 440 million children in India, over 176 million are in urgent need of care & protection. Getting children the same is the primary goal of DEHAT. To us, the end of educational inequity is the freedom for all children to have the opportunity to reach their potential. In India, 9 hundred thousand newborn infants are dying each year. Let’s provide them their right to good health. If children are assured of their survival, protection and participation in the development process, only then can a society achieve sustainable development. That’s our theory and proposition for change in the society that children are raised in.